Many people have a telephone, internet, a computer in their homes, they have knowledge in different sectors, but are desperately looking for a job or a business that allows them to win a little money. However, there are people who get the most out of their computer, internet and telephone working from home, being their own boss, having a customized schedule and enjoying the flexibility offered by teleworking. With these jobs, you can decide for yourself what you want to charge for the service you offer, it all depends on your abilities as a professional. Make and receive telephone calls. Management of emails and web page chats. Writing, translation, correction of documents and web content. 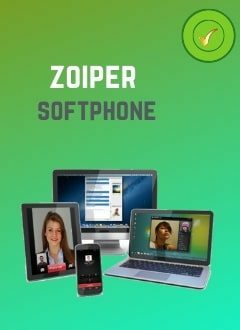 Computer assistance by phone or chat. Management of pages in social networks for companies. Creation and design of websites. Working as a telemarketer or receptionist for a call center or company is an excellent option if you can talk on the phone between 3 to 6 hours a day. Many companies subcontract these services to carry out telephone sales, answer calls or solve the doubts of customers who call the company number. For this work it is necessary to have a lot of patience, to know how to behave in front of the client and respect the agreed work schedules. Many self-employed entrepreneurs or small businesses, look for people speaking one or more languages to filter the emails and respond to the chats of interested customers. It is frequent that the answers to the chats of web pages or emails are predefined by the employer, and this greatly facilitates the task of the teleworker. If you speak 2 or more languages and have a good level of writing, you can work as an editor, writing content for web pages, translating content or documents and making the correction of contents. Many of the companies present on the internet need to write quality content to improve their SEO. If you like to write, you can work as an editor and have a good income without leaving your home. Hundreds of people spend hours looking for the solution to install or uninstall a simple software, configure a router, or solve small problems with their computers. Companies specialized in the sale of hardware, look for computer experts to give after-sales support to their clients. If you are a computer expert, you can offer your services to thousands of people in different countries where your language is spoken. It is no longer a secret for anyone that social networks are part of the privileged tools for companies of all kinds to promote their services, products and brand image. However, the use of social networks requires that the company has someone who is dedicated to managing the various pages of the company on social networks. If you have advanced knowledge in the professional management of social networks, you can work as a community manager. If you do not have high knowledge in the management of social networks, you can get a quick training on the Internet or in the pages of social networks. If you are an expert in web design, surely you are part of the profiles most sought after by companies and entrepreneurs of all kinds. Nowadays all businesses need an online presence. You can easily offer your services to thousands of customers and get an income without leaving your home. In addition, with this activity you can have a 100% custom-made work schedule. All companies need to make ads and use the appropriate supports. The creation of logos, flyers, business cards ... is a permanent need in companies. However, contacting a company to create advertising support 100% customized, can be very expensive. For this reason, many companies look for freelancers who can do the work from their homes at a cheaper price and with better delivery times. All this seems to be very interesting, but how to do so that companies or entrepreneurs needing these services can contact you? The first thing you should keep in mind is that people need to know that you exist to request your services. Surfing the Internet, you will find many pages of ads, where you can publish your profile and indicate the jobs you can do, their prices and delivery times.